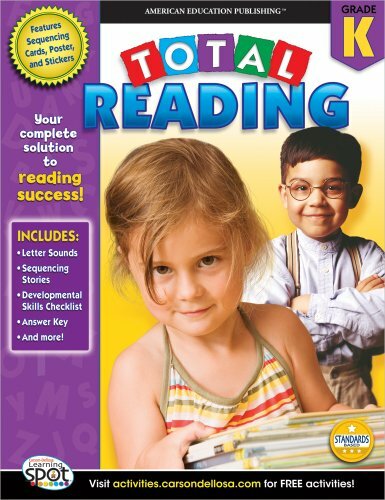 Total Reading is the most comprehensive guide for reading available! This 352 page workbook, specifically designed for children in kindergarten, provides the help they need to succeed in all aspects of reading, including consonant and vowel sounds, sequencing, rhyming words, matching words and pictures, and opposites. Total Reading also features a complete answer key and easy-to-follow directions, as well as stickers, sequencing cards, and a poster for added learning and fun.